Very fast curing PU foam adhesive for fixing plasterboard, insulation board and most building substrates. 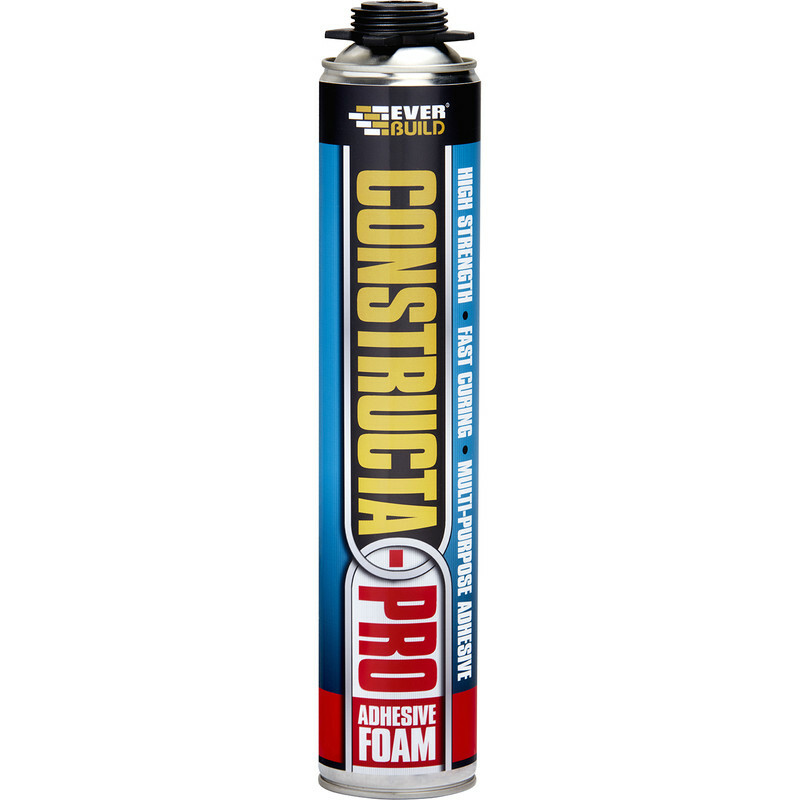 Constructa Pro Adhesive Foam Gun Grade 750ml is rated 3.2 out of 5 by 5. Rated 2 out of 5 by Brosha78 from Not much good I've used plenty of adhesive foams before and to be honest, this one won't be one that I will purchase again as it is rubbish. Rated 3 out of 5 by Silas from Not as good as Insta-Stik Only purchased this product due to Insta-Stik being out-of-stock. The cure time is far too long, however, once set it seems to provide a bond strength equivalent to Insta-Stik. I wouldn't recommend using this product. Buy Insta-Stik! Rated 2 out of 5 by kwr67 from Takes a while to set Tried this as an alternative to the insta-stik version, wish I had paid the extra for the insta-stik. This product takes a while to set and seems to have quite high expansion which means it keeps moving. Rated 4 out of 5 by Mlyon84 from A lot cleaner A lot cleaner than traditional dab, but only relay works on clean flat surfaces. Overall well worth a try I will be purchasing again.